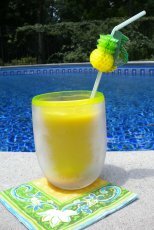 We have enjoyed being pool owners for over 12 years. It has been one of the best investments we've made. From summer "staycations" to enjoying family and friends for games, parties, and meals our swimming pool can be a quiet retreat or party central. 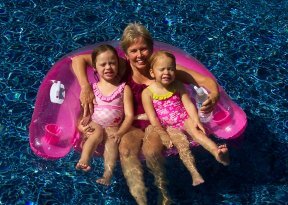 Learn some practical things about pool ownership from pool owners. For instance what we like (and don't like) about our new dark pool liner or why we decided on a mesh pool cover instead of a solid one. Find out about ways to make your pool time more enjoyable. 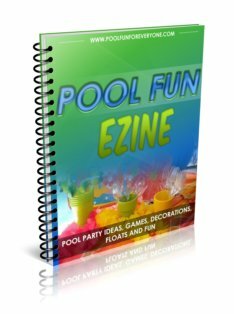 Get ideas for pool parties or find out about our favorite pool floats and toys. Real information from real people sharing what works for them and how to make the most of having your own swimming pool.